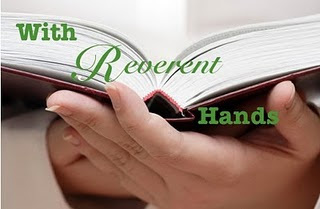 If you would like to participate in the With Reverent Hands feature, please comment here with your email address or email me and I will send you a template! This week's post is by a blog follower I didn't even know I had until he emailed me asking for the With Reverent Hands template! It was so exciting to hear from someone I never knew before and so I thank him for making my day so great with his email! Unfortunately, I don't have much information about him to share with you, so I shall just say thank you, Jomel, for participating and let him share his book with you. It's the shortest book spotlighted so far! NOTE: Jomel is related to the author of the book he is choosing to spotlight below. 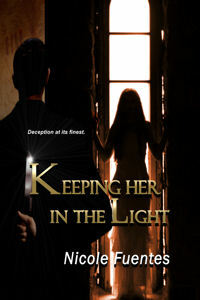 Keeping Her in the Light is a psychological thriller that explores the relationship between a serial killer and his recent captive, between a cunning predator and a strong-willed prey. It focuses on the events that lie between the uncharted gap between capture and escape as it delves into the complexities of the Stockholm and Lina syndromes. The book is more than just a psychological thriller as the author cleverly intertwines in the captor-captive situation her own concepts of light, darkness, beauty, human hope, uniqueness, cause and effect, peer pressure, importance of solid family education and training when kids are still young. . . The author demonstrates some mastery of the intricate skills of writing thrillers. The book is a page-turner. If you like to find out what goes on in the mind of a serial killer and that of his would-be victim, you'll probably enjoy this book. Young adults, particularly, women; the curious and the investigative type. Hope can be gotten from darkness just as much as it can be extracted from light. You will find that there will only be more darkness at the end of every tunnel, and you will learn to find hope in it. The only false answer to an opinionated question is the answer you couldn't back up properly - the answer that isn't yours in the first place. The only wrong answer to an opinionated question is an answer that isn't your opinion to begin with. What an interesting sounding book! I admit to never having run across this topic in the books that I have read, but from what I understand, it might share some similarities with a newer book called Still Missing. I think it sounds like a really psychologically complex book and like something I'd like to know a little more about. Thanks for sharing this one with us, Jomel! I haven't heard of this one before, but I do love a good psychological thriller, and I love knowing about one that is really smart and well-written.